We enter into 2017 with 189 active listings of houses, condos and townhomes which is 5% less inventory when compared to last year (198). 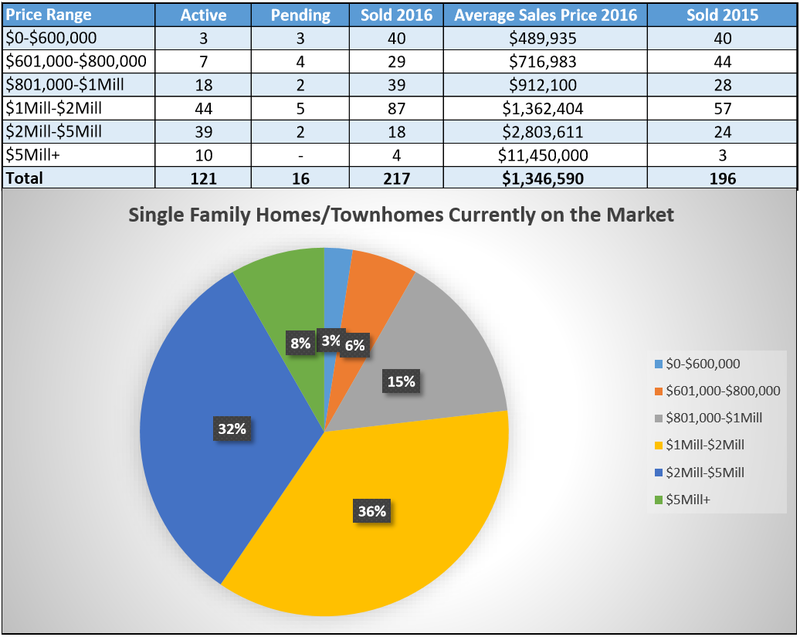 Of the 121 single family homes and townhomes for sale only 24% are under $1 million. The average sold price increased by 4.4%($1,346,590) when compared to the 2015 ($1,289,235) average sold price and the number of sold single family homes and townhomes increased by 10%. 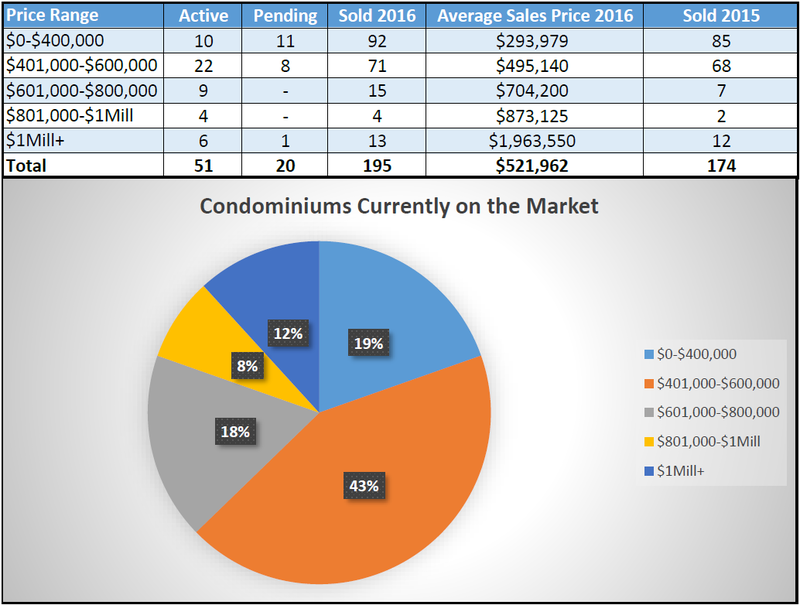 Of the 51 condominiums for sale (which represents 34% less inventory when compared to last year with 77 active condominiums), the majority of them, 66%, are under $600,000. Only 12% are over $1 million. The average sold price increased by 9% ($521,962) when compared to the 2015 ($479,955) average sold price and the number of sold condominiums increased by 12%. 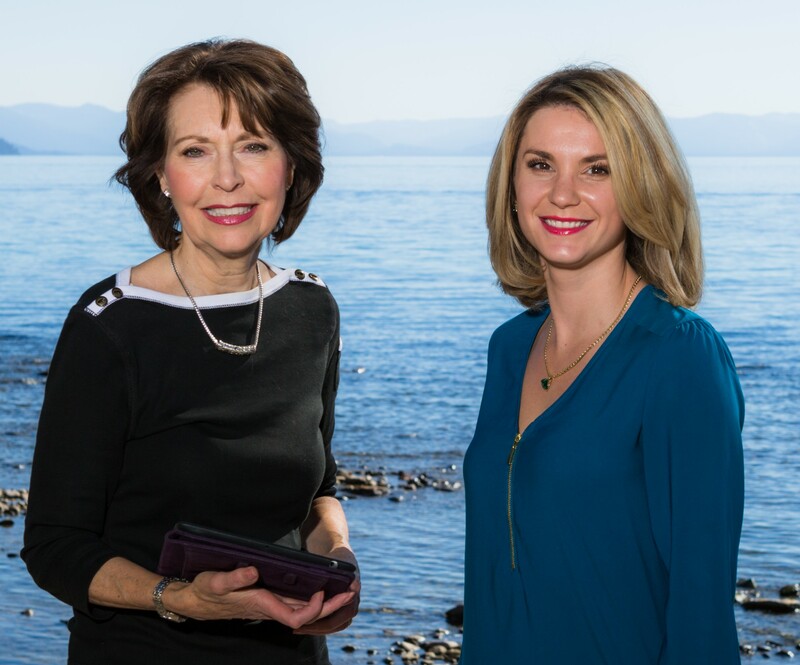 Even though the inventory of available properties remains low, the number of sold homes is on the rise proving that the Incline Village real estate market is still going strong.